I taught English and lived in Taichung and Tainan, Taiwan from 2004-2006. In late 2007 I went to Busan, Korea until 2011. I went to Shanghai, China for 6 months and then returned to the States later that year. It was an experience. I often thought about if my experience teaching English abroad in Asia had changed me or not. It's hard to see when you are on the inside. But I think I did a bit and here's how. Living abroad makes you realize that everyone doesn't think like you or your culture. You see differences and they can be hard to accept sometimes, but that's the way it is. It's different. It's easy to think your way is better, but it's just normal for you. Living in a new country can be difficult and it can bring culture shock. A lot of teachers recommended having an open mind. 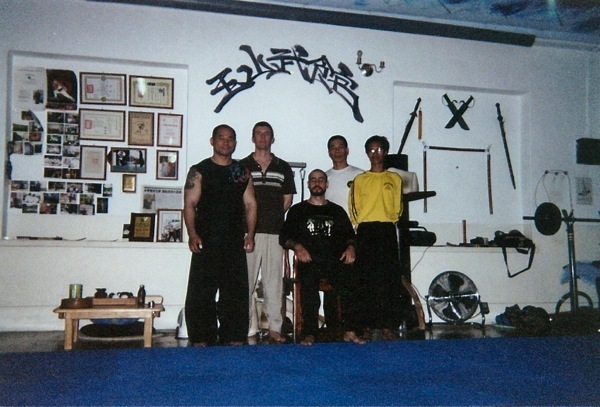 I taught in Korea from late 2007-2011. And it was while I was in Korea that I started to meditate. I guess it depends on what you call meditation as I started practicing yoga when I was 25 and still practice it everyday now. But it was while I was living out in Sinpyeong in Busan that I started to do a more formal meditation. I was working out there temporarily in a kindergarten for a few months. Anyways I was reading this book that had a story in it about how these monks in Tibet were able to raise their body temperature by meditating. The book went on to talk about the other benefits of meditation including a more developed brain. So it convinced me and since then I have been meditating everyday. I can't recommend it enough. I think it works for everyone. It's a tool that you can use to control your mind and mood as your breath controls both your mood and mindset. Being away from your family and friends might change you. I probably spent more time alone abroad than when I wasn't. When you are abroad you won't have that familiar circle, so you're going to have to depend on yourself. You're going to start off as an outsider too. You'll be the foreigner for better or worse. I was a bit of a loner before I taught abroad and probably more of one by the time I was done. Whether you are a loner or an extrovert teaching abroad can work for you too. It's pretty easy to find alone time and if you want it you can find friends. The locals are probably going to be somewhat curious about you and you can find other foreign teachers to associate with. I would also say that it also increased my desire to work for myself. I started this website ESLinsider while I was in Korea. I think that's because the people I was surrounded with were also that way. Again you become more aware of your own culture after you live abroad for an extended time. Kids in Korea, the little ones that you will find in a kindergarten are a pretty affectionate bunch. They'll want to give you hugs and jump up on you. But you really won't find that in America. The reason being you might get in trouble if you touch a kid. You might get sued. Schools are more rigid that way, but in other parts of the world they are not so rigid. In the States I think the kids are possibly given too much power. They are spoiled and overprotected. Feminism is not such a big thing either. In the States it's really big and from my point of view it has gone too far and beyond "equality". Have you flown to Asia with an Asian airline? One thing that you will notice when you compare the flight attendants on most American airlines is that the ones on most of the Asian airlines (non-American ones) are attractive young women. Such a thing is forbidden in the USA. I know this one is not politically correct. But like I said I care less about that now. I have to be honest. I could say my tastes started to change before I even went to Asia, but without going into too much of my history I'll say this. I find myself more attracted to Asian women than any other race. I know some might think that's weird or something like yellow fever, but that's the truth. The fact is most people are attracted more to one race, but that race is usually their own. So when you do something different you might get criticized. I was always interested in new things, international things and new and far away places. That's what brought me to Europe, Asia and all over North America. Prior to teaching abroad I was making a lot of 2D art: paintings and drawings. But I was kinda getting burned out on that. Part of the reason I was interested in going abroad in the first place was to save some money so that I could get my turntables going again. That was something I started around 20, fallen out of and then picked back up when I was abroad. 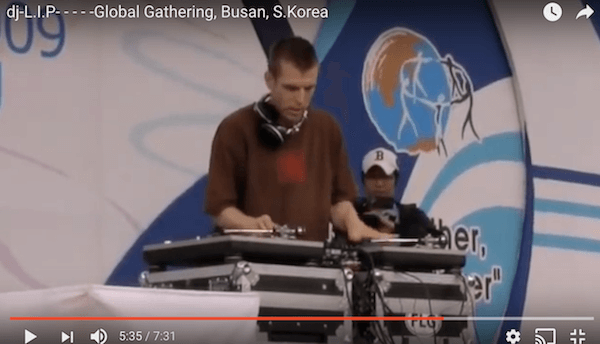 I am mostly a bedroom DJ who likes scratching, but I did play at a few clubs in Korea and did do one outdoor performance. If you are a musician there are definitely chances for you out there to pursue your music and to find places to play. I saw lots of foreign DJ's and musicians everywhere I taught. I felt like I needed to learn some martial arts. I wanted to get something unique out of living abroad and I had long been interested in them. So while living in Tainan I started to take Wing Tsun classes. That was an experience and then while in Korea I took my first jiu-jitsu classes. I sucked and I got totally beat up. After about a month I quit, but then I started up again in 2014 and have since become addicted to it. I currently take jiu-jitsu and judo classes at CCSF, but have also trained at a few other schools in San Francisco. I recommend taking martial arts classes wherever you go for a couple of reasons. One, you can learn some practical self-defense and two it's a great way to meet people and make friends who may be foreigners like you or locals. It takes some bravery to pick up and move yourself half way around the world. I moved to Taiwan, Korea and China without a job lined up or with any sort of connections. I also started teaching. I don't think I am a natural teacher and as I mentioned I am more of a loner than an extrovert. It's totally possible to teach if you are introvert. You just have to learn what works for you. Life is scary. You have to take chances. Most of the things that we are scared of are unlikely to happen, while many of the things we are not scared of are more likely to happen. Think getting your leg chewn off by a shark versus getting hit by a car. Teaching abroad just made me more of who I already was. I was a relatively laid back, freedom loving, loner type dude, with an interest in foreign things, new experiences, art, music and martial arts. It made me a bigger person and more aware. I think it's easier to see the big picture after you teach abroad. It takes you out of the fish bowl that you are currently in and then plops you into a different one.